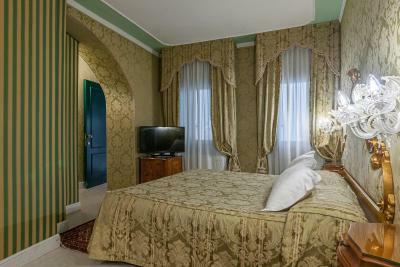 Lock in a great price for Al Ponte Antico – rated 9.6 by recent guests! The location , the ambiance and the Staff were first rate. The owner Matteo and his staff treated us like family from the moment we walked through the front door. The staff is wonderful. 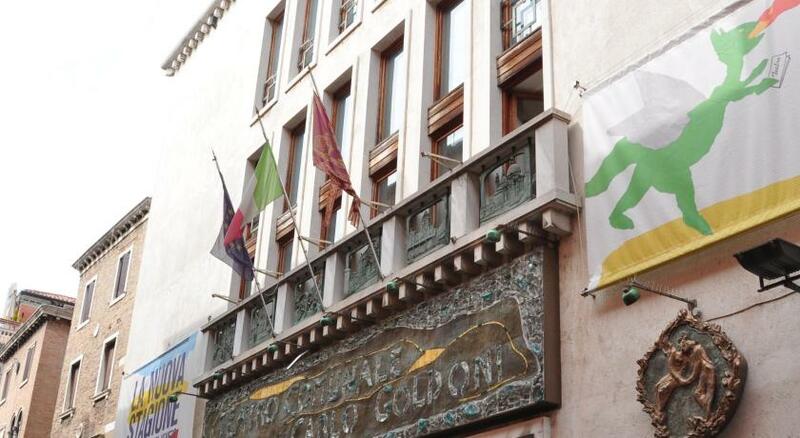 Every single person of the staff was very helpful and accommodating. 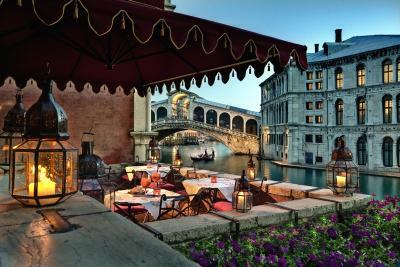 Really amazing location with a terrace looking at the Rialto bridge . My part we and I have the most amazing stay . The owner (who cooks great eggs) and staff are a credit . 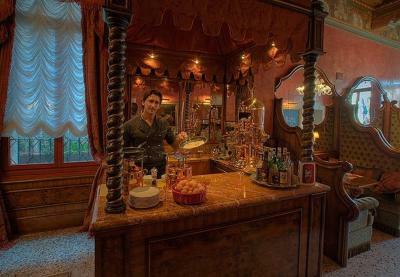 In truth there is something magical about the hotel , staff and setting . We both loved it . Mateo and staff are the very best. From the welcome to the help along the way they provided an extraordinary level of service. The included breakfast was magnificent-prepared by Mateo and wife. 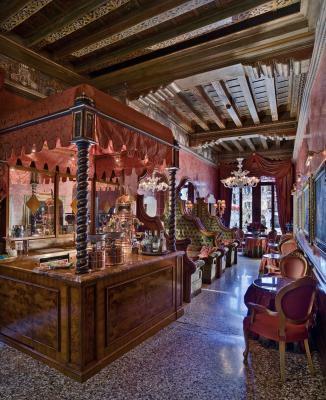 The property was ornate and a beautiful statement of Venetian history. Arrive by boat and be welcomed by the owner and staff. 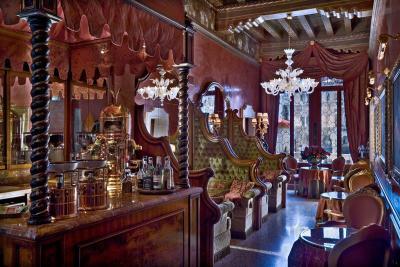 Then enjoy perfectly elegant breakfast with the most stunning view of Venice. 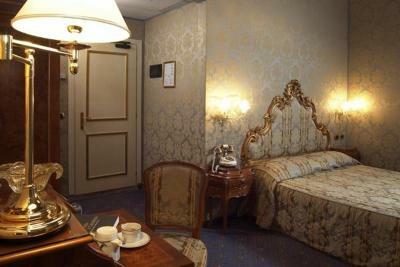 It was a nice small boutique hotel where you get personal attention and great service. Location superb. All major attractions within easy walking distance. Balcony overlooks the grand canal, very close to the Rialto bridge. 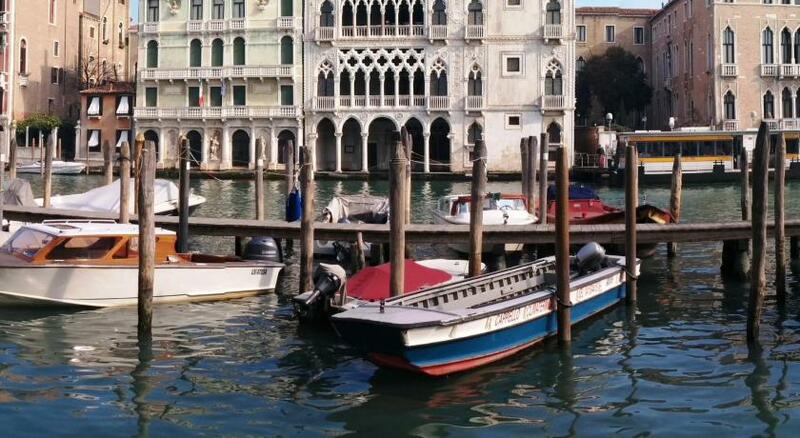 It has its own mooring for (expensive) water taxis, but also within a couple of minutes walk of the public water transport stations. Hotel layout is a little quirky, but I like that. I don't think I've ever come across staff who were so helpful and friendly, and always the right side of obsequiousness. Quality and choice of breakfast first rate. Cooked breakfast items freshly made to order. 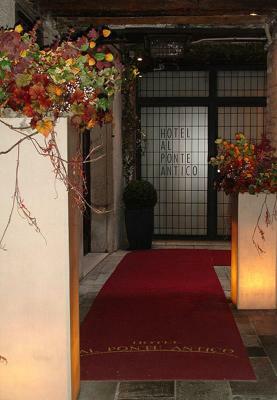 Al Ponte Antico This rating is a reflection of how the property compares to the industry standard when it comes to price, facilities and services available. It's based on a self-evaluation by the property. Use this rating to help choose your stay! 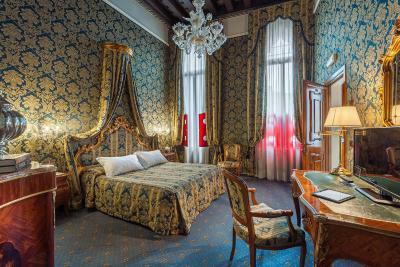 Facing Venice’s Grand Canal, and with views of the Rialto Bridge, Al Ponte Antico features accommodations in a 14th-century palace. 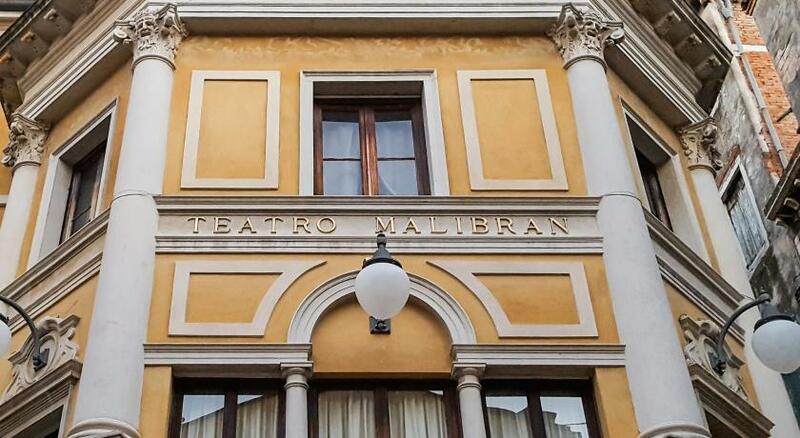 The hotel provides a daily breakfast and free Wi-Fi throughout the property. 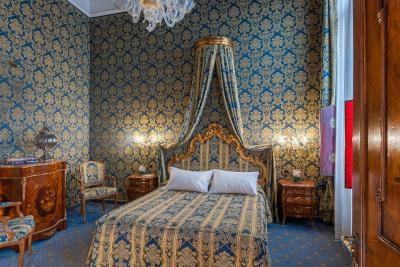 The rooms are elegantly furnished and embellished with chandeliers and tapestries. They come equipped with air conditioning, satellite flat-screen TVs, and minibars. Slippers, free toiletries, and a bathrobe are standard in the private bathrooms. 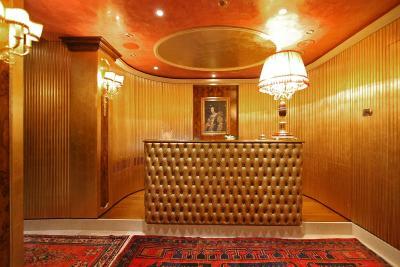 The lounge features ornate décor and original wood ceilings. Guests can also enjoy a shared terrace with panoramic views. The breakfast buffet includes homemade pastries, eggs, vegetables, and other delicacies. 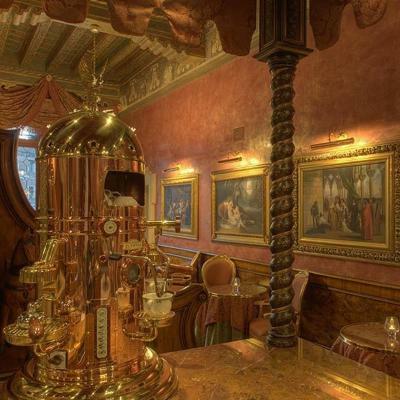 San Marco square is a 10-minute walk from Al Ponte Antico, and Venice Santa Lucia Train Station is just over a mile away. 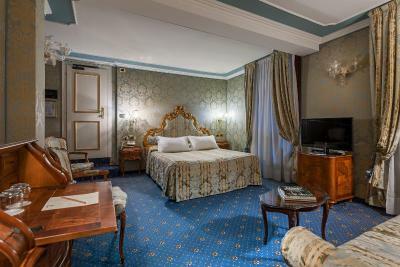 When would you like to stay at Al Ponte Antico? 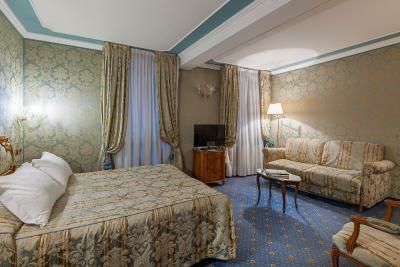 This classic double room includes air conditioning, a satellite flat-screen TV, and minibar. 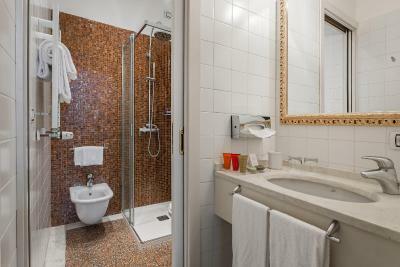 Slippers, free toiletries, and a bathrobe are provided in the private bathroom. 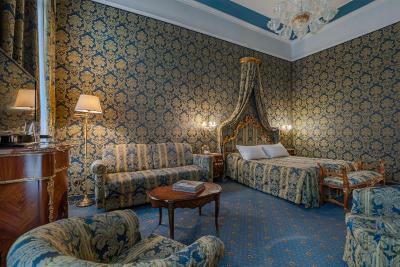 Featuring a sitting area and view of the Grand Canal, this junior suite includes air conditioning, a satellite flat-screen TV, and minibar. Slippers, free toiletries, and a bathrobe are provided in the private bathroom. 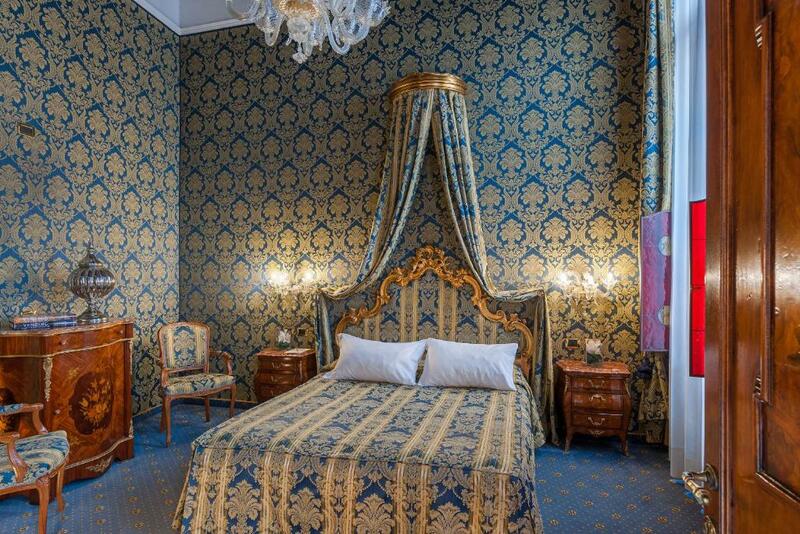 Featuring a view of the Grand Canal, this deluxe double room includes air conditioning, a satellite flat-screen TV, and minibar. Slippers, free toiletries, and a bathrobe are provided in the private bathroom. 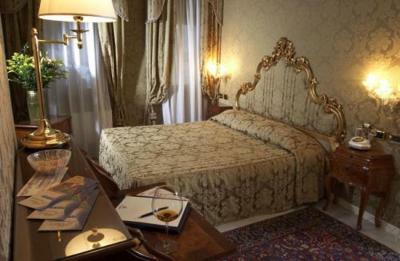 This superior double room includes air conditioning, a satellite flat-screen TV, and minibar. Slippers, free toiletries, and a bathrobe are provided in the private bathroom. House Rules Al Ponte Antico takes special requests – add in the next step! 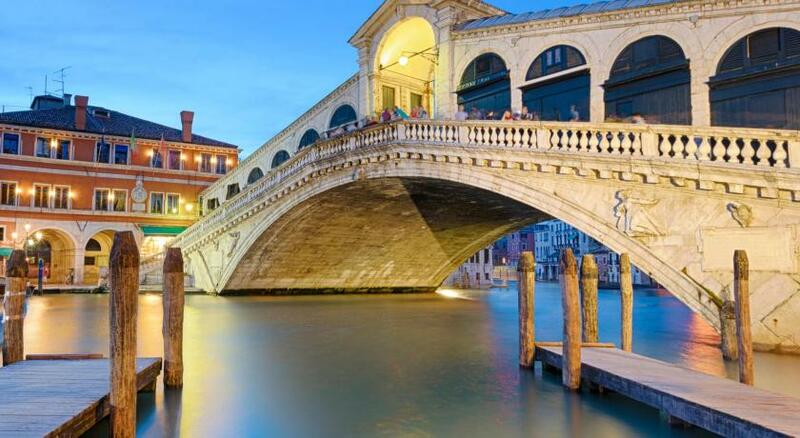 ATM card Al Ponte Antico accepts these cards and reserves the right to temporarily hold an amount prior to arrival. Al Ponte Antico accepts these cards and reserves the right to temporarily hold an amount prior to arrival. Difficult to exaggerate what outstanding service once receives at Al Ponte Antico - the best we have ever had, anywhere. All of the exceptional staff know your name without being introduced and go above and beyond the call of duty to ensure everything is as is should be, with helpful suggestions on places to eat and places to go. They are all a credit to the owner Matteo, who is a superb host and who makes the most amazing cooked eggs one could ever have (from his family hens) and with coffee using his bespoke espresso machine. The pastries made by his wife are also amazing. 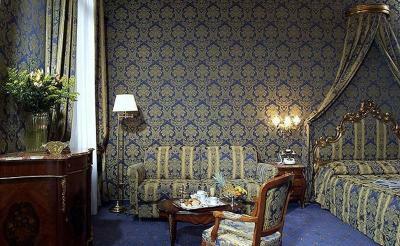 Beautiful rooms with a wonderful terrace overlooking the Grand Canal and Rialto bridge - taking breakfast there was just magical, just watching the world go by. 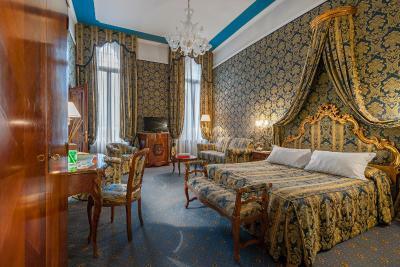 The hotel is in an excellent location, within easy (15 min) walk to the major sites but also to areas where there are fewer tourists and many authentic Venetian restaurants. 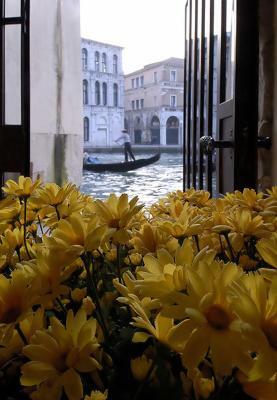 The hotel also has a private wharf - a night time private taxi right to the hotel, travelling through the deserted canals at night, down the Grand Canal to be met by the night receptionist Thomas is something we will never forget. Thank you to everyone for a magical stay. Air conditioning, even in winter, is important for some travellers, for air flow. This hotel is listed as having air conditioning, but apparently it is not available in winter. Tucked away at the end of an easy-to-miss alleyway in the winding lanes close to the Realto Bridge, this hotel is a hidden gem. We spent two nights at this property and didn’t want to leave. When we arrived in the afternoon we were greeted directly by the owner, Matteo, a gracious gentleman who proudly showed us the features of his property. 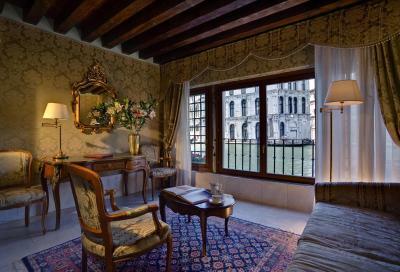 It is a nine bedroom boutique hotel with a terrace from the dining room that projects on to the Grand Canal, a stone’s throw away from, and with an unforgettable view of, the famous 12th century Realto Bridge. 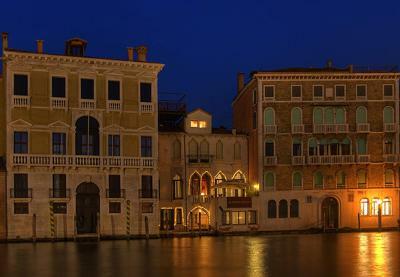 We ended up spending hours of our two days in Venice on that terrace, watching Venice float by. 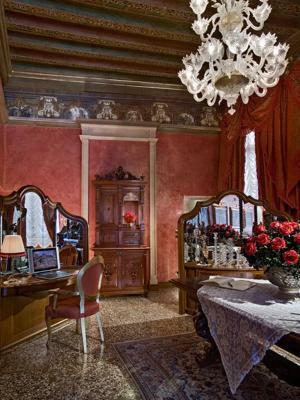 The rooms are clean and charmingly decorated in old-Venetian. The bathrooms are well-equipped and clean. But the main draw of this hotel is its personnel. Every staff member we encountered was exceptionally helpful and friendly: Alex, David, Oliver, Gigi, and Minelio deserve special mention. 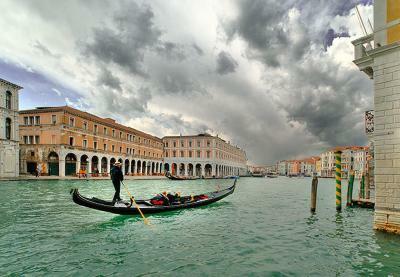 They readily gave us useful tips on navigating our stay in Venice, with places to eat and things to do. Breakfast was a real treat. Both mornings we had a full breakfast, with eggs and pancakes prepared by Matteo himself in full apron kit on the second day, perched on the terrace in the frosty morning, but snugly warm from the electric heaters placed there for comfort. A perfect selection of low, mellow music was the icing to make this an unforgettable experience. Matteo, if you read this review, congratulations on a well-run, charming property with superior staffing. 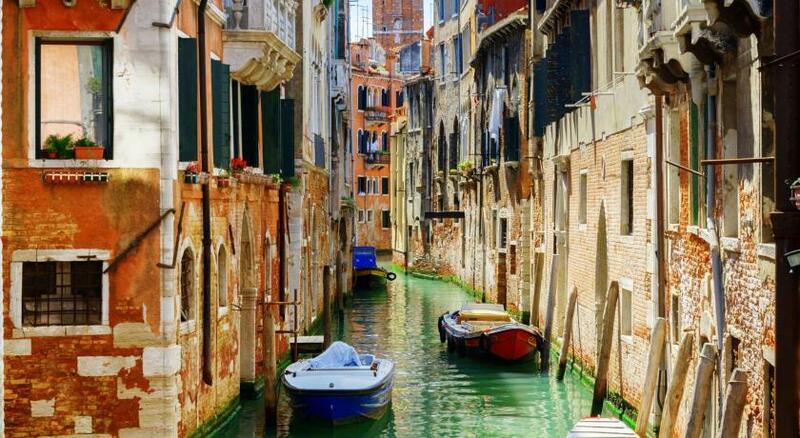 We don’t know if we will visit Venice again, but we know where we will stay if we do! The whole package is phenomenal - a real treat! The balcony and the staff the best you could wish for! Truly my only issue was that there were bugs - we stayed on the ground floor in Venice, so I'm not sure if this is a common issue and I wouldn't want to ruin their reputation because of it. They didn't really bother me, but it was definitely noticeable. This property is STUNNING, in a perfect location and the staff is incredibly friendly, helpful and knowledgable. You can tell they care about their customers and their satisfaction. They offer a small library of travel guides and offer excellent recommendations when asked. Our room had an unfortunate smell due to the piping/ventilation outdoors when the window was cracked; it was only noticeable when entering the room and did not meaningfully detract from the exceptional setting. 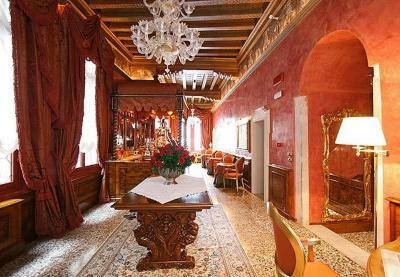 Perfect location near the Rialto bridge, extremely friendly and helpful staff, delicious breakfast, beautiful interior of the hotel. Would absolutely recommend!